Though the world may have met her while standing behind her internationally famous sister Kate, it took merely seconds for Pippa Middleton to demand her own spotlight. Hours before the sun rose in America the day after William and Kate's infamous wedding, Pippa Middleton was already a household name. With the instant notoriety and fame, it would have been easy for Pippa to step into the role of fashion icon. Fabulous fur coats and six inch stilettos would have been expected. But in a refreshing turn of events, Pippa gave us the exact opposite. Instead of stuffy, all for show outfits, Pippa's become the queen of down to earth, simple chic, everyday style. 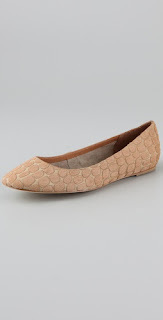 A look that wouldn't be complete without her go-to fash... the always comfy ballerina flats. Though I personally would always choose a heel over a flat, Pippa rocks the look like no other. Below are more pictures of London's stylish sweetheart killing it in her go-to fash. What do you think of Pippa's style? Loving Pippa's go-to Fash? 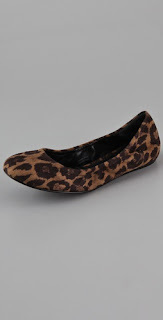 Check out these adorable ballerina flats available online at Shopbop.com. Click the picture to shop the shoe. Our country can't get enough of Pippa!! I wear only flats and ballerinas ......what could I say ? simply wonderful ! I really appreciate Pippa , she is independent , modern and absolutely smart ! I love that she always wears flats! Love the plaid tory revas! I want nothing more than to raid Pippa's closet. Give me 2 minutes to grab everything I can!! I love everything she wears! Love everything she wears, espcially the flats! I can't walk in heels to save my life. She always looks so freaking good it makes me sick... in a good way. lol. I love this post and the shoes you pulled. Adore this. I'm obsessed with her and Kate. I actually really don't like Kate and her but this post made me like them a little more. Great flats ! Check out : http://nothinlasts.blogspot.com/ I have a new post ! I love that she's always in flats =) Representing the normal girls! I like her style. Very chic. I love her style. It's simple yet romantic. She's one fabulous woman! love her chic and classy style! Love it. Love the blazers/jackets over dresses and cute flats. Somedays you just need a good pair of flats. I love how she can wear them without ever looking dumpy or squatty. Gorgeous! she has such a great chic style! I love all the styles you pulled. Stunning. Pippa's style feel svery all american to me which I think and also find ironic. I'm happy she's not stuffy like Victoria. I LOVE your writing here. So amazing. I think I like the third and fifth look the best. She's adorable. I personally prefer Kate's style over her sisters, but I do really like the shoe options you featured. Shopbop has the best stuff. i'm pretty impressed she can pull off flats and still hold an elegant look to it. 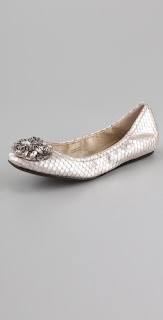 i like how you blogged about her too and offered to see some other flats! Pippa is my favorite. She is seriously so chic and classy but doesn't play it toooo safe where it gets boring. I love the flats you posted! I'm more of a stiletto/platform/heels at every opportunity kind of gal but i appreciate the classy look of flats. I absolutely love her style! She's so classic, yet so stylish! Pippa has style. I'm loving those flats. Download the best new year wishes 2019 video for free. https://happyvalentinesday14.com wishes for every one. Why viewers still make use of to read news papers !click here when in this technological globe all is presented on net? For More click here.